Finished Size 57" x 69"
Quilt kit includes Pattern and fabric for the 57" x 69" quilt top and binding. 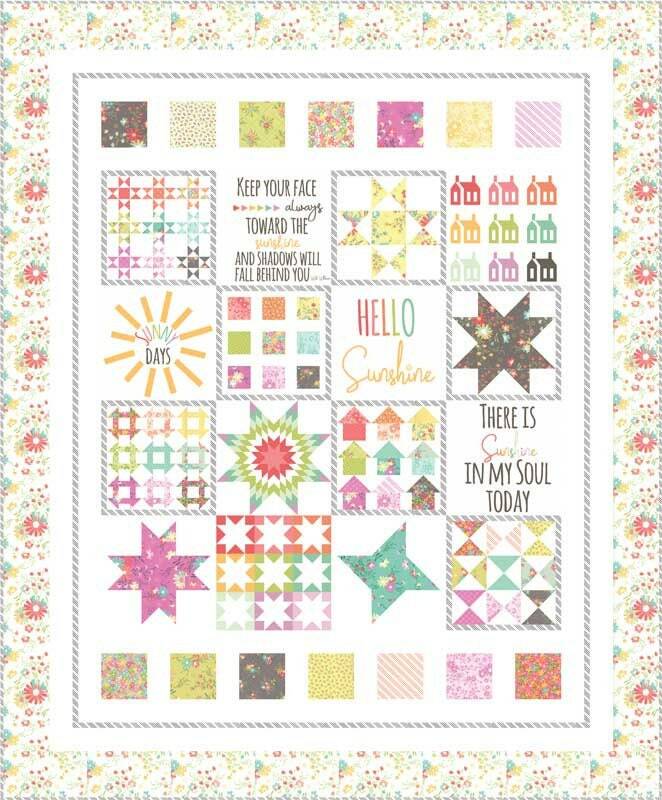 This quilt is a wonderful way to show off all the fun blocks in the Sunnyside Up Panel. You will be combining pieced blocks with the panel blocks for a show stopping quilt that will look like you spent more time piecing than you actually did! Love this kit!!! Can't wait to make it!! !